Are People Adopting Pit Bull Terriers for the Sole Purpose of Euthanizing Them? 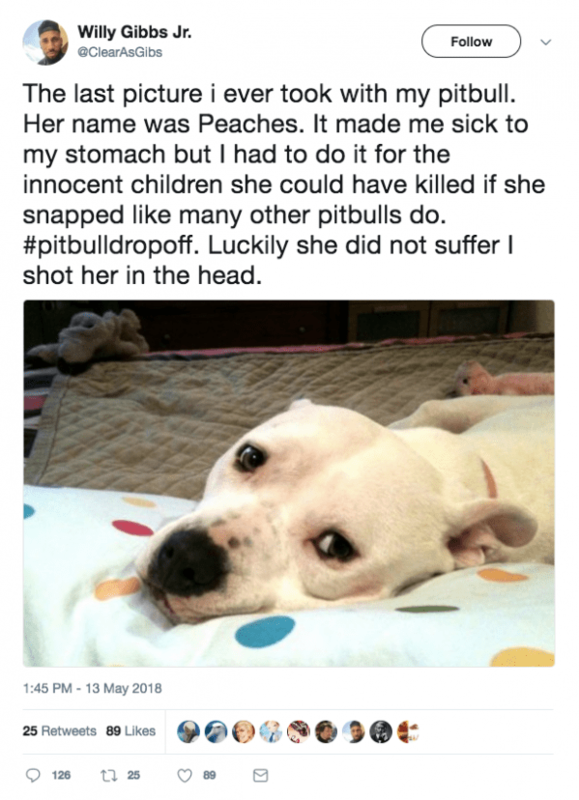 People are adopting pit bulls with the express goal of euthanizing them, and then bragging about it on the Internet with the hashtag #PitbullDropOff. 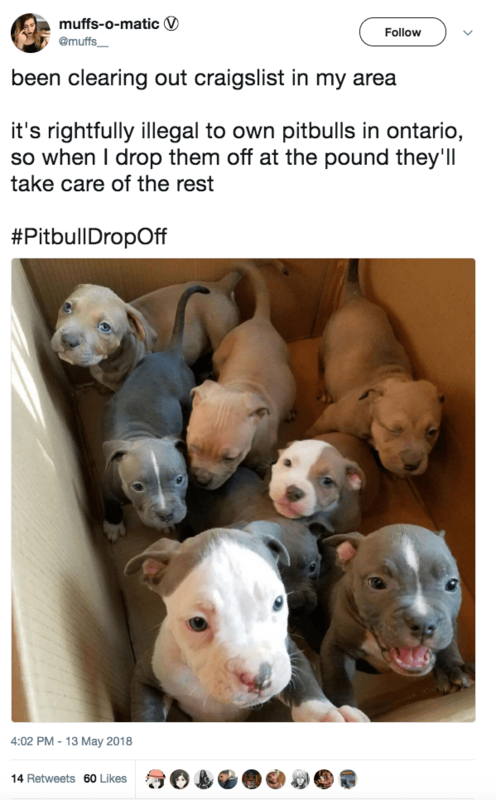 #PitbullDropOff has been simmering on twitter for two days now, naive pitmommies and various other low IQ individuals are falling for the bait. This will be a major news story by Monday so it’s best to escalate the hysteria before the national news breaks for max effect. All you have to do is post a photo of a pitbull you say you picked up and dropped off at a kill shelter under #pitbulldropoff. 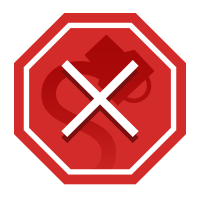 Rinse and repeat for maximum pitmommie hysteria. Be aware it’s best to use burner accounts as pitmommies are mobilizing on facebook to bring down posts. those pit momies [sic] are annoying but maybe its [sic] for the greater good if they [sic] offspring dies / gets pit redpilled.